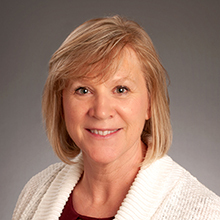 Denise Pfeifer, EPSCoR Research Administrator is responsible for the financial and administrative management for Boise State University EPSCoR grants and affiliated programs. She has more than ten years’ experience in grant administration and management working with academic institutions. Prior to joining EPSCoR, she worked for The Scripps Research Institute in La Jolla, CA. She holds a Bachelor of Science Degree in Scientific and Technical Communications from the University of Minnesota and has held a PMP certification for the past eight years. Denise and her husband recently moved back to Boise, and is excited to be a part of the EPSCoR team.